So Many Stamps So Little Time: The Challenge # 16 - Grateful For You! I am very excited to be joining the fabulous design team at "The Challenge". 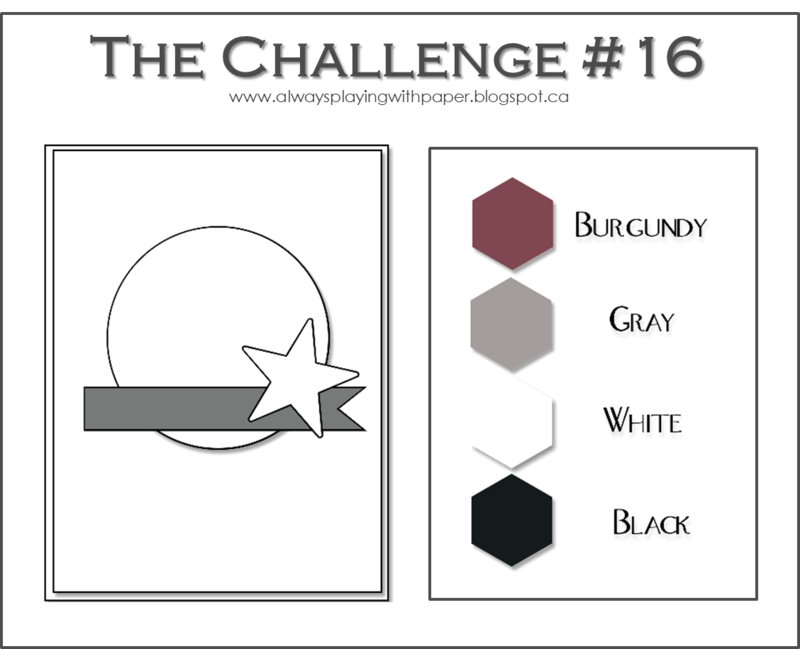 This week we have a beautiful color combination for you to play along with! 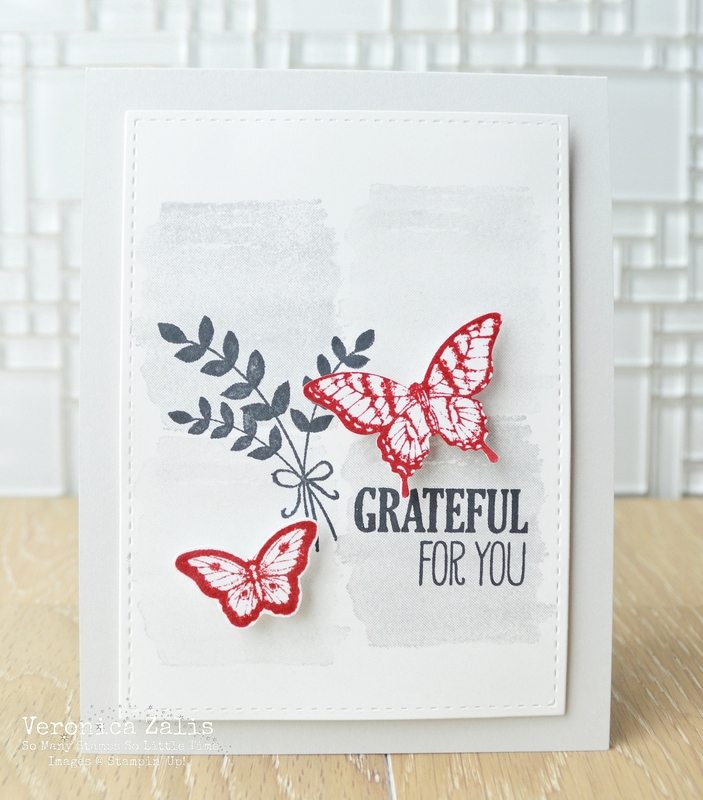 To create my card I used the Stampin' Up stamp sets For All Things and Papillon Potpourri. I can't wait to see what you create using these beautiful colors! Thanks for stopping by! This is a beautiful card, Veronica! Love the colour blocking you did! Welcome to the team. This is lovely! The subtle color blocked background for the images is fabulous. This is gorgeous! And, Congrats on being a DT member too! We are going to have fun! Love those paint/stamp spots and your butterflies.